"You bend it, you mend it," right? That's the basis of a lawsuit by famous racing driver David Piper against a car journalist who blew the engine on Piper's $2 million Porsche 917. Now the journalist has to pay the bill of over $174,000. The engine exploded back in 2009 with freelance car journalist and race car driver Mark Hales behind the wheel. The drive was for a comparison test with a contemporary Ferrari 512S, owned by Pink Floyd drummer Nick Mason. The unwritten gentleman's agreement between Hales and the car owners was that any mechanical damage would be covered by the owners, while Hales would pay if he crashed. The damage was caused by the engine blowing, as it over-revved to 8,200 RPM. Piper's advised redline was 7,000. SWNS reports that Hales claimed the car ‘popped out' of gear as he was shifting from second to third. If this was the case, Piper would be responsible for the repairs. Hales concluded, "the Porsche 917 is a tough car to drive and it is a matter of fact that the engines blow up. Everyone has done it and I knew this was the case." The suit centered around a single point — who is to blame for the engine revving past its safe redline? Barrister Alexander Wright laid out the points for and against in court, as reported by the Telegraph. There are two competing theories — the claimant's case is that the defendant, despite the very clear instructions given, failed to engage gear. He missed gear going into third causing the engine to over-rev and leading to damage. The defendants say there was an inherent and pre-existing mechanical fault in the gear box so that the gears didn't properly lock and engage and slipped out of gear. Piper denied that the gearbox could have been at fault, stating, "If there was any question of a gearbox problem, I would have asked him to stop and not drive any more." Ultimately, the judge ruled in favor of Piper, forcing Hales to pay £47,000 for engine repairs and loss of use and another £63,000 for Piper's legal fees. This, of course, does not factor in Hales' own legal fees, which Ferdinand Magazine estimates at around £50,000. That's around $174,000 that Hales has to pay outside of his $79,000 legal fees. Piper, an accomplished British racing driver is known particularly for his victories in Africa in the 1960s, but he is closely linked to the Porsche 917 in particular. 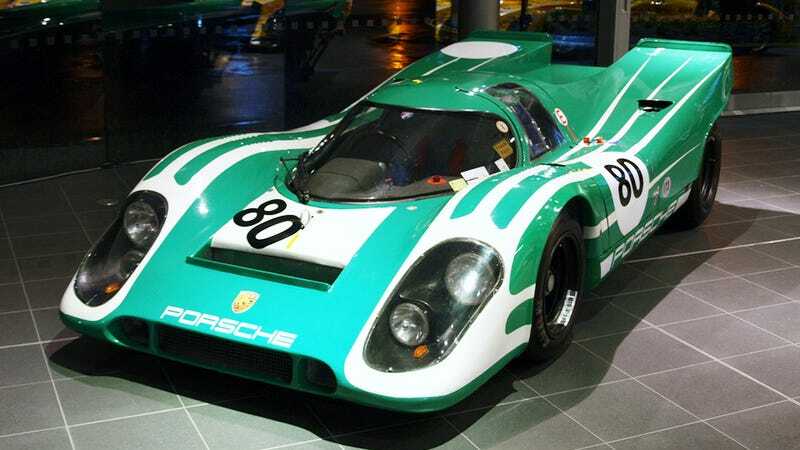 Piper's racing career was cut short during the filming of Steve McQueen's Le Mans, the movie which so greatly lionized the 917 and helped establish its legend. We can understand Piper's position, given his warnings to Hales about potential damage to the car, but to see to good men drag each other down in a case involving such a glorious car is hurtful no matter how it turns out.